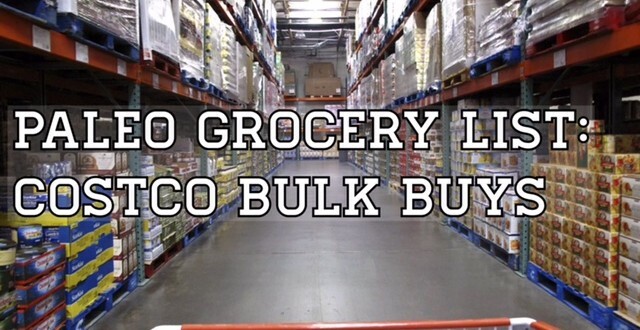 If you’re not shopping at Costco, now is the time to start. If you are within an hour of a location, it’s worth the drive to stock up on the good stuff every so often. 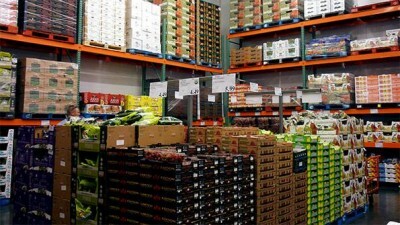 If you’re not already familiar, Costco is a wholesale grocery store, and they have got the deals. While I hesitated getting a membership myself for awhile considering the size of both my kitchen and household (both quite tiny! ), I received a membership as a gift. One trip with my paleo grocery list in hand was all it took to convince me; it was love at first sight. Seriously, I was giddy upon walking into the store. I think many of us foodies can agree that a new grocery store experience can be quite magical. Whether you’re feeding two or ten, there are products here for everyone who wants to eat well and save money – who doesn’t? The membership itself When your pantry is full of good eats, so are you. Here are some of my favorite paleo grocery list staples with packaging and price details. This is my personal list from experience at my local Costco. Some items may not be available at all stores and prices may vary/are subject to change. I have heard that the team is very responsive to customer demand, though. If you don’t find one of these paleo grocery list staples at your store, bring it up with staff and they may be able to stock up. For all of your meat needs. I love buying eggs at Costco, because in this house, we go through ’em quick. From hard-boiled eggs in the Instant Pot turning into both meals and snacks to putting an egg on everything from soup to sweet potatoes to the random baking experiments that go down, 5 dozen is nothing. While it’s great to source local, pasture-raised eggs when possible, you can get a package of two or five dozen at Costco on a budget. This is hands down my favorite brand of sustainable, canned seafood. I love their sardines, salmon, and tuna. 30 oz. of tuna at about $0.50/oz. is the best deal on the stuff you’ll find anywhere, even shopping with online stores such as Thrive Market. There’s no reason not to stock up, even if you’re the only one eating it. This stuff is breakfast made easy. I adore the chicken-apple variety which is 100% paleo-compliant with no added sugar or dairy which many of the other flavors do contain. Aidell’s promotes their hormone and antibiotic-free meat proudly which makes me even more excited to find such a good deal on the stuff. They’re pre-cooked, so it makes the ideal morning staple for healthy, on-the-go eats. Organic Young Chicken: $2.49 per lb. At one time, there was a chicken in my crock pot every week. I still love to batch-cook some poultry, it’s just my Instant Pot that gets the attention now. Regardless of the method, cooking a whole chicken is one of the easiest ways to add protein to a huge variety of meals. At $2.49/lb., you can afford to make a pretty big batch. Alternative: Organic Boneless Skinless Chicken Thighs: $4.99 per lb. 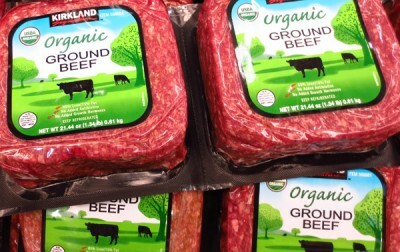 Although this particular brand isn’t grass-fed (they do carry it at my store! ), it has an oh-so-glorious price tag that is worth the sacrifice as a savvy budget buyer. No matter what else is in my fridge, I can always find a creative way to use ground beef from taco salads to stuffed peppers or a quick meat sauce to throw on top of spaghetti squash. Alternative: Top Round Roast (Beef): $5.79/lb. Medjool dates are nature’s candy in its truest form. Sweet, chewy, and perfectly dangerous yet healthy. If you’re trying to kick sugar for good, don’t forget to add them to your paleo grocery list. 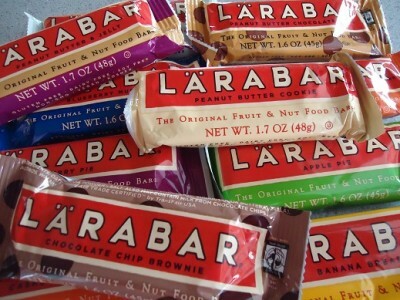 Make your own Larabars, make date paste to use as a natural sweetener, whizz a few into a smoothie, or stuff ’em with coconut manna for a snack. If you don’t know about these things already, maybe it’s best that you don’t buy the bulk option. They are highly delicious and highly addictive, especially the sea salt caramel flavor. They’re made of raw ingredients like almond flour and coconut so you can feel good about indulging in a few. Whole30 and paleo-approved (besides the peanut cookie flavor! ), having these handy is always a good thing. Stash a few at the office, a couple in the car, one in your purse, and hide the rest away so nobody else finds ’em. The average sale price of a 5 ct. box in any other store is approximately $5.00, so this is quite the bargain at $0.87 per bar. 360 oz. of olives for less than eight bucks?! Count me in. It might seem absurd, but we all need a little fat boost from time to time. These are one of my favorite salty snack fixes and flavor additions to any meal. Salads, taco fixings, or a little charcuterie plate at home make these a necessary addition to my paleo grocery list. Seaweed snacks are packed with vitamins and minerals and all things good about green food. These snack packs are great for that late night potato chip craving, sprinkling on salads and soups for a little flavor, and packing in kid’s lunch boxes. I eat these like Pringles: once ya pop, the fun don’t stop. Consider purchasing almonds in bulk to make your own almond meal, almond butter, and snack packs. While you can also get double jars of nut butter at Costco for a great price ($10.99 for 26 oz! 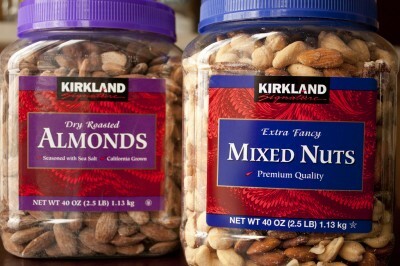 ), purchasing the nuts on their own will give you the most bang for your buck. Honey is a staple in my pantry not only for my sweet tooth, but for my homemade beauty products. I run out of the tiny jars far too often, and I notice when it’s gone. Two pounds of raw honey for less than $10 is the best deal I’ve ever seen. While some people value local honey, this is a steal if you’re on a budget. You might be asking, “What would I ever do with 86.6 oz. of coconut oil?” But you should be asking, “What wouldn’t I do?” Bulletproof coffee, everyday cooking needs, moisturizing, oil pulling… this is the gift that keeps on giving. Keep a jar in the kitchen and another in the bathroom. It’ll go quicker than you think. Avocado oil is special for a few reasons. Its mild tastes makes it a fine contender for homemade mayonnaise while its high smoke point makes it great for roasting veggies and meats at high temperatures. Getting the big bottle without putting a dent in your wallet? You can’t go wrong. If you’re missing something a little sweet for breakfast, check out chia pudding recipes. Simply let them sit in your favorite non-dairy milk overnight. Mix with fruits, nuts, seeds, and protein powder for a complete meal. You can use these healthy little bursts of omega-3’s in countless ways, so a big bag will be warmly welcome on your paleo grocery list. Carrots don’t generally break the bank, but they are always on my paleo grocery list, and I go through ’em like a bunny rabbit. I use them often whether I’m dipping and snacking, shredding ’em up for slaw, roasting them, or adding them to a mirepoix for an Instant Pot stew. This is TEN POUNDS of carrots rounding out at <$0.50 per pound. Yes, please. My freezer is tiny, and at any given time, much of its limited space is occupied by my 4 lb. bag of frozen strawberries from Costco. I have to choose my frozen bulk items wisely, but these always make the cut when I’m writing out my paleo grocery list. They make an easy snack, addition to smoothies, and can easily be turned into tasty condiments like jam. I know bananas are one of the most inexpensive fruits across the boards, but organic bananas for $0.66/lb. is, for lack of a better word, bananas! You can even choose a ripe bunch and freeze them in chunks or slices. Banana ice cream, anyone? Or, you can let them get nice and spotty and indulge in a little banana bread. Mmm. If you’re planning a paleo grocery list, you’ve probably got a long list of greens to pick up. It’s one of the main emphases when it comes to eating healthy. A pound of spinach all but disappears in a day in my house. Sometimes I blend it, sometimes I add it to my eggs, sometimes I just throw a heap of it in a mixing bowl and make a salad. This is by far the best deal, and I can even budget for two containers. Ah, yet another paleo grocery list staple that seemingly does a vanishing act in my fridge. Thanks to my handy dandy spiralizer, I can turn every ounce of these into zoodle dishes. Stir-fries, raw salads, spaghetti, or chicken zoodle soup. If you’re a fellow zoodler, this deal is too good to pass up. Are you ready to get your shop on? Eating real food can be costly, but it shouldn’t prevent you from doing so. Whether you’re struggling to feed a large family or working under a strict budget for any reason, shopping in bulk can be beneficial. If you don’t have a lot of cold storage space like me, it’s still worth it to pack the pantry tight with dry goods. Shopping big = saving money and saving time since you won’t have to make such frequent grocery runs. It’s a win-win. Don’t forget your paleo grocery list on the way out the door. Oh, and the re-useable bags… I always forget the bags.